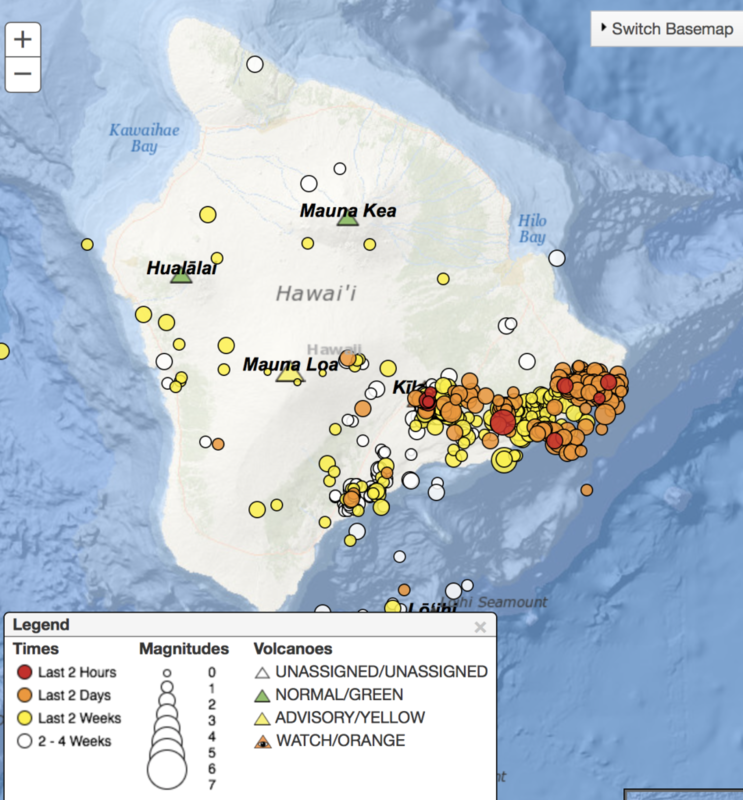 The U.S. Geological Survey’s Hawaiian Volcano Observatory (HVO) recorded a magnitude-5.3 earthquake on Saturday, April 13, 2019, at 5:09 p.m. 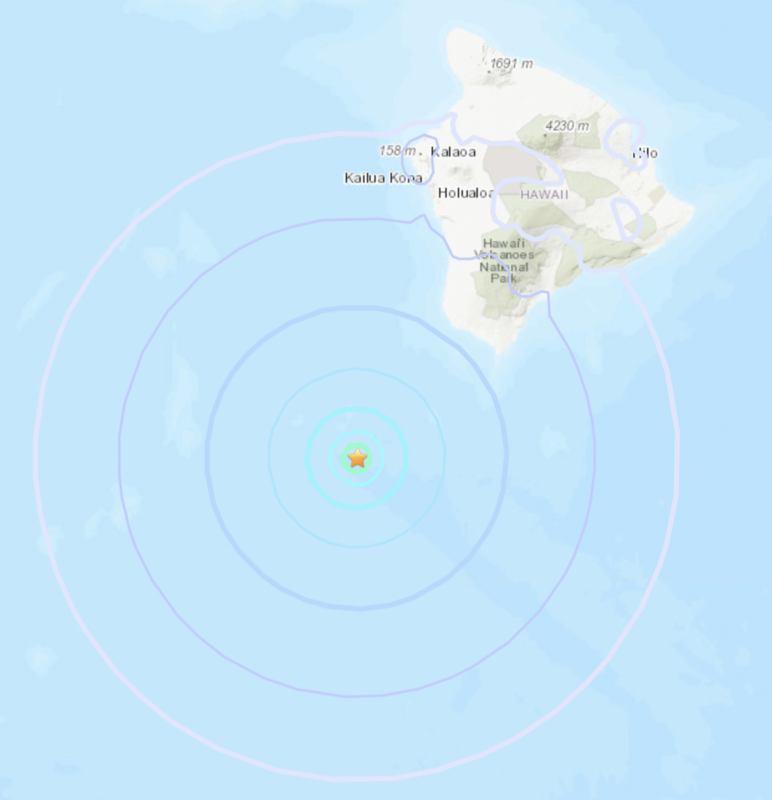 The earthquake was located about 12 miles east of Kalaoa on the Island of Hawaiʻi at a depth of 8 miles. A map showing the location of the earthquake on April 13, 2019. 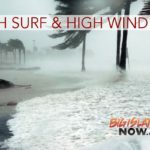 Light to strong shaking with a maximum Intensity of VI on the Mercalli Intensity Scale in the area of Waikoloa has been reported across the Island of Hawai‘i and as far away as O‘ahu. The USGS “Did you feel it?” service received over 1,000 felt reports within the first hour of the earthquake. The USGS ShakeMap estimates shaking up to Intensity VII in the immediate vicinity of the epicenter. At that intensity, moderate damage to buildings or structures is possible. 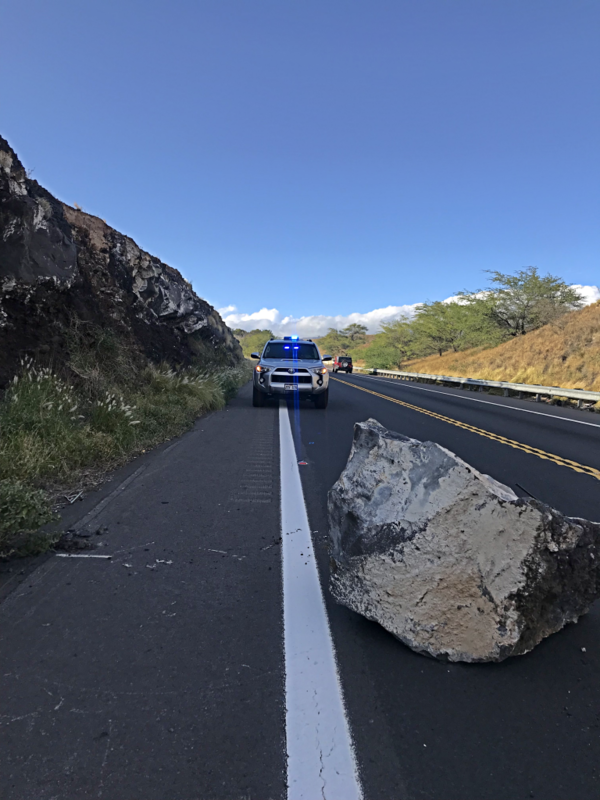 Hawaiʻi County Civil Defense reports that authorities are responding to reports of rockfalls along Highways 19 and 11. For more information on expected shaking, see the USGS ShakeMap. Three aftershocks were recorded within an hour of the earthquake, including a magnitude-3.0 event approximately 11 minutes following the main shock. Additional aftershocks are expected. The earthquake has caused no detectable changes in activity at Kīlauea and Mauna Loa volcanoes. According to the Pacific Tsunami Warning Center (PTWC), no tsunami was generated by the earthquake. 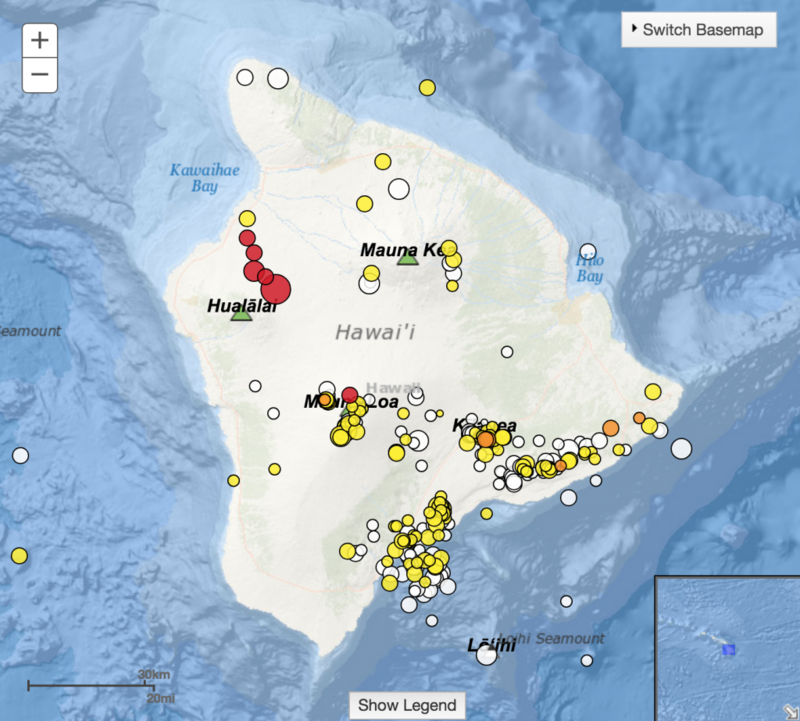 For more information on recent earthquakes in Hawai‘i and eruption updates, visit the USGS Hawaiian Volcano Observatory website. 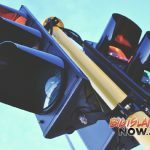 Damage is reported along some roadways around the island. Hawai‘i Volcanoes Observatory reports no activity or change in status of the volcanoes on Hawai‘i Island. 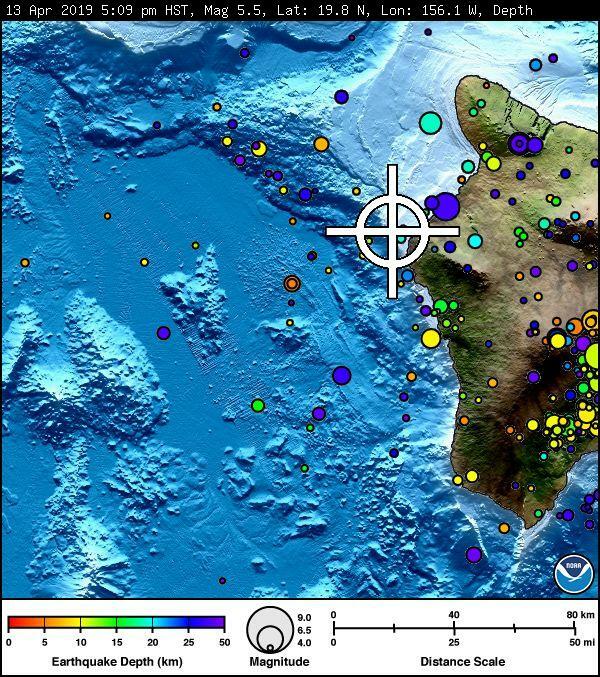 THE PACIFIC TSUNAMI WARNING CENTER REPORTS THE EARTHQUAKE THAT OCCURRED AT APPROXIMATELY 5:09 PM WAS NOT LARGE ENOUGH TO CAUSE A TSUNAMI FOR THE ISLAND OF HAWAI’I. PRELIMINARY DATA INDICATES THAT THE EARTHQUAKE MEASURING A MAGNITUDE OF 5.5 WAS CENTERED IN THE VICINITY OF HUALALAI REGION. AS IN ALL EARTHQUAKES, BE AWARE OF THE POSSIBILITY OF AFTER SHOCKS. IF THE EARTHQUAKE WAS STRONGLY FELT IN YOUR AREA, PRECAUTIONARY CHECKS SHOULD BE MADE FOR ANY DAMAGES; ESPECIALLY TO UTILITY CONNECTIONS OF GAS, WATER, AND ELECTRICITY. SOME AREAS MAY HAVE EXPERIENCED STRONG SHAKING.